Prior to starting his own business he served as the commercial attaché at the Israeli Embassy in Seoul for five years and introduced as many as 800 Israeli companies to the local market. He also worked as managing director for technology sourcing for SK Group’s Global Growth. 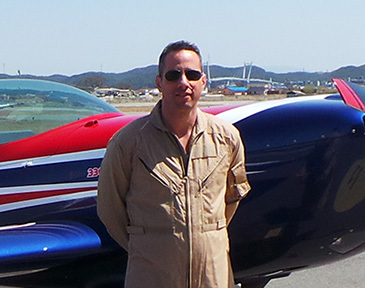 As an avid sportsman he received the aerobatics training, flying for over 25 years now. 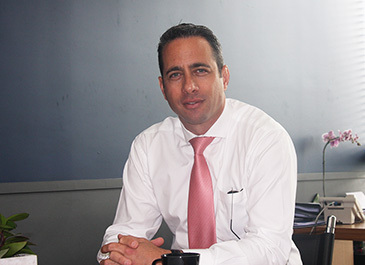 The Seoul Times has recently met with this vigorous Israeli businessman full of entrepreneurial spirits to listen to the secrets of his success and his views of the business world connecting the local Korean market to Israel and to the rest of the world. The following is the full text of his interview story. Q1: We heard that you set up your company in Seoul very recently. Could you introduce your company to our readers? What kind of company is it? What is your company specializing in? 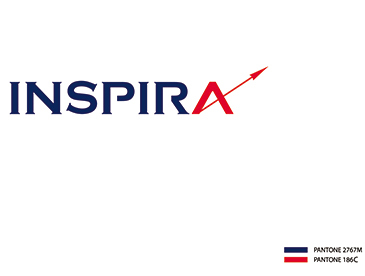 A1: INSPIRA Ltd. specializes in introducing Israeli technologies into Korean companies and utilizes business opportunities between Israel and Korea. This is an exciting field I’m operating in for the last 10 years here in Korea. There is tremendous interest coming from Korean companies and Koreans highly value Israeli innovation capabilities. We focus mainly on technology sourcing for Korean companies based on our experience and understanding of Korean and Israeli markets. Our continuous presence here supports our rate of success and allows us to overcome the common pitfalls. We inject Israeli innovation into both Korean conglomerates as well as SME’s and help them grow inorganically. The most common objective of the Korean companies is increasing their local and international competitiveness. We also work the other way introducing Korean technology into Israel. As Israel is a very international community we often find ourselves involved in tri-national opportunities as well such as with the US, Europe or elsewhere. Korean companies often seek foreign expert’s assistance for international growth. The challenge is always understanding their needs and adapting the activity to the “Korean Way”. Understanding Koreans way of thinking, mainly understanding their internal decision making process is key. Here INSPIRA brings 10 intensive years of local presence and knowhow in Korea-Israel Technology cooperation, having worked in Israel companies as well as Korean Chaebol myself. Foreign companies’ challenges entering the Korean market, revolve mainly around business culture aspects and expectations differences. We help them make the right choice and navigate efficiently together with them in the Korean market. Q2: On what occasion did you decide to set up your company? Why is your company important to South Korea? A2: Innovation Economy is the theme of the Korean economy as has been well expressed by the current administration as well by the Korean “Chaebols” branching out and expanding their business overseas. Israel sometimes called the “second Silicon Valley” is sought after by Koreans searching technology. Our technological leadership is well acknowledged however there are not many effective channels truly facilitating these two countries. As my experience fits perfectly into this window of opportunity I have decided that this is my road. Above all my business network, built up over years in both countries, support my strategy and objectives. Upon my completion of five years as commercial attaché and three years as managing director for technology sourcing for SK Group’s Global Growth, I have decided to open my own company specializing in this field. We currently work with three Chaebols and about 18 Israeli and Korean companies. Q3: So far what achievements have you and your company made since its inception? Would you like to comment on the results of your company? A3: Korean and Israeli leading companies use us for their technology scouting in the other country. We have already introduced Israeli technologies into Korea with projects in the industries of: energy, chemicals, health care, education, and security fields. Q4: Could you compare your company with other Israeli companies which bring the advanced technology to South Korea? What makes your company so special or different from others? A4: Firstly, to the best of our knowledge we are the only Korean company, owned by an Israeli and most importantly have presence in Korea for nearly a decade. Our presence here and living network is the key to allowing this bilateral channel to work effectively. You can’t hop on a plane to come to Seoul for lunch or dinner or drinks. Being Israeli in Korea is essentially to our success. Q5: What do you think about the current level of cooperation and exchange between South Korea and Israel? How could the bilateral ties be developed further? A5: The Korea-Israel technological relations have been flourishing and growing steadily. The successful fields are R&D cooperation, defense, hi-tech and investment. More and more Korean companies are opening their technology Sourcing offices in Israel, as Samsung, LG, and others already did along with an impressive list of multinational companies before them such as Intel, IBM, GE, Motorola, and many others. Q6: We heard that you started your career as a diplomat and you became a successful businessman. Could you explain to us about your diplomatic career? A6: My diplomatic career was the head of the Israeli economic office in Korea. Although an embassy role, it is almost entirely business oriented. Over a five-year span I have introduced more than 800 Israeli companies into the Korean market, in various industries and technological stages. I have been part of the Korea-Israel R&D fund. I am doing a marvelous job connecting companies from both countries and funding their mutual R&D cooperation. I have also initiated a Korea Israel joint investment fund. Over that time I put a great emphasis of getting Israelis and Koreans to physically meet and talk business. In that I have made 30 business delegations going both ways. Q7: Have you ever lived or studied in any English-speaking countries? Would you comment on your academic career? Could you explain to us about the merits of Israeli education system? A7: As a matter of fact I have lived worked and studied in the UK but Israel has their impressive academic education facilities as well repeatedly producing Nobel prize winners. I have a BA in Economics and MBA in International Marketing with focus on Asia. Israel is extremely well appreciated in Korea for their education and I have made three Korean delegations to Israel on the education subject alone. I can let you know that I am in cooperation with one of the leading and most famous Israeli Universities planning their entrance to Korea, but I’ll have to keep you on a bit of suspension on that. These days we are meeting with education leaders for planning. The merits of Israeli education come from many sources. If I have to make it brief I can mention the following merits. People are educated to be inquisitive. From age of zero we are taught to question everything (even question the teacher, the doctor and god), reach the true answer, and look at things from a different perspective. The debate on a question is part of the solution and people are encouraged to search until they are satisfied. The manner of learning is less memorizing information. One of the key mottos in Israel is the culture where failure is not a problem. One shouldn’t avoid it and people are appreciated for trying and learning from failures. Q8: How different is Korean culture from Israel? What are the advantages and disadvantages of the Korean culture? Have you committed any cultural faux pas? A8: This is a hard one to answer in brief and I give lectures on business culture between the countries. In short, Korea and Israel share many similarities, such as the countries’ age, lack of natural resources and reliance on the human capital, very high emphasis on education, having had the need to fend enemies all around in their past and survive, and the eagerness to succeed, just to name a few. We are very different as well. Some of our business instincts and business cultures are almost opposite and it requires a lot of experience to bridge effectively. As for your question on making a faux pas, this is definitely a major risk in Israelis and Koreans starting business discussions. Israeli’s see openness and directness as a gesture of friendship and good will whereas in Korea is may sometimes be interpreted as too revealing and sometimes offensive. It is my job to prepare the ground, manners and expectations in order for all sides to understand each other. The risk in Korea of the faux pas is that normally you don’t know you have committed one as no one will tell you. I was very fortunate to have extremely good advisors from the very start minimizing my potential pit falls to an acceptable level. So I have not had major problems, all the same I have represented companies which didn’t have these sensitivities and made mistakes where I had the problem of being the one who introduced them. I’m therefore extremely harsh these days in screening the Israeli companies I represent and make sure they have what it takes culturally on top of having a great technology. My reputation built here in Korea is my most valuable asset. All in all, Koreans are admirably good at education and performance. They all commit to a task or a project as a group which gives them great strength and exquisite and effective results. The disadvantages are lack of flexibility in the short term and decision making is rarely ever done by the guy you are talking to (even if he’s the chairman). Long internal processes are always part of the deal. Korean companies are hard to navigate, have a high rate of internal mobility and this requires patience till benefits result from business. Q9: How do you hobnob with your local friends? What kind of hobbies do you enjoy in Korea? Do you do any exercises? A9: I have my Korean circles where I do very Korean things (mainly involving too much eating and drinking) and the foreign expat community in Seoul which is quite tight community where we involve families and friends, travel together and keep in close touch all over the world even when people have relocated. My main hobby is a unique one for Korea. I have taken up aerobatics training. I have been flying for over 25 years now, privately, commercially as well as had my own tourism and aerial photography business in Israel, but there’s no thrill in the world better than flying upside down sideways, spinning and rolling like crazy for that incredible rush. 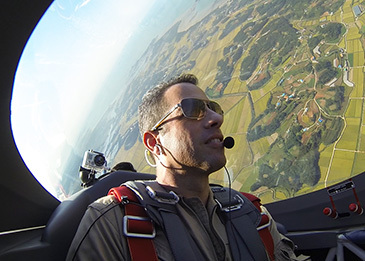 The G-forces in a 30-40 minute flight is equivalent to hours of intense training. Most people perceive it as dangerous sport but in actual fact it is done very professionally and safety is the key motto. In actual fact we plan to bring an air racing event to Korea in 2015 to promote the sport. A10: I am married to my Israeli wife and we have three kids. My youngest daughter is “made in Korea” and her name is the Hebrew word for “dawn” coming from the Korean motto of “morning calm.” We all love it in Korea and plan to stay here for the years to come.